5 tips for choosing the right dancing shoe! | Salsa On The Square - Cincinnati's free Thursday night event featuring Live Latin music and salsa dancing! 5 tips for choosing the right dancing shoe! 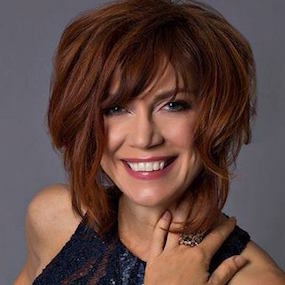 Instructor Diana Hoffman offers 5 tips for choosing the right dancing shoe as well as some shoe recommendations for women and men to keep you comfortable, safe and stylish at Salsa on the Square! Imagine dancing at Salsa on the Square to your favorite song and you can’t turn because your shoes stick to the concrete — not fun. A dance shoe adds confidence and makes that entire experience that much better. You will feel right at home in the right shoes. A dance shoe is constructed for a dancer’s body to help you move easily on the dance floor and to prevent injuries to your knees and joints especially at Salsa on the Square’s concrete surface. The right will keep you dancing all night long, better yet all summer long. Think of it as guilt- free shopping for your dance addiction. 1. Wear a shoe that allows for better movement. Dance shoes are lighter weight than street shoes making them more flexible with a suede or leather sole. This gives your foot more freedom of movement while keeping your heel in place. This is important especially executing turns. Most suede bottom dance shoes are good for a wooden dance floor. A dance sneaker or lower heel dance shoe with a smooth sole is recommended for the square. 2. Find a dance shoe with the right fit. It’s important dance shoes fit properly like a glove on your foot especially around the ankle. They will stretch a bit after use so make sure they are not too tight or loose. The right fit will allow for better connection to the floor, your partner and music. 3. Wear the proper shoe size. Typically, your dance shoe size will be the same as your street shoe size. If your foot is narrow, you should go down 1/2 a size. If your foot is wider you should go up 1/2 a size from your regular street shoe. Remember, you want them to be snug, but not painful. 4. Take care of your dance shoes — you have a lot of dancing to do. In general, dance shoes can be cleaned with a shoe polish or protector. Satin shoes can be cleaned with soap and water. A wire shoe brush can be used to clean suede bottom shoes to keep the nap. Bring your dance shoes in a separate bag to Salsa on the Square to keep them fresh and clean. 5. Choose the right type of heel. Salsa shoes for ladies generally have a heel for better balance and to create a clean line. Heel heights can be as low as 0.5” or as high as 4”. The most common heel sizes are between a 2” and 3”. Higher heels give more shape to the leg but just a half inch can be a huge difference. A beginner dancer should wear a 2.5” heel or lower. The higher the heel, the more the weight is pushed forward to the ball of the foot. On the Square, stay away from any “street shoe” stiletto heels if you do choose to wear a heel. Make sure they are in the lower range so you feel comfortable and confident. Dance sneakers have a lifted insole but are flat. Men typically should wear a suede or leather sole shoe with a low heel. Where to buy your new dancing shoe? You can find them locally in Cincinnati at Cincinnati Dancewear in Hyde Park or Diana’s Dance in Blue Ash. Shoes can be found online at Amazon.com or DanceShoesOnline.com. Have a blast finding shoes that fit your style and make your dancing experience that much better. Happy dance shoe shopping: Happy dancing! This women’s dance shoe is best worn for a wooden floor not Salsa on the Square. Wear this shoe for your favorite nights at the club or at class. It’s lightweight, flexible, has a secure strap for ankle support with a 2.5″ heel. Plus it’s stylish for the summer months ahead. I love this stylish women’s dance shoe by Zumba. It’s constructed with a synthetic sole that will move easily on the concrete surface. Plus, it has a supported insole to protect your knees and ankles for the night of dancing on the square. This is a nice men’s dance sneaker. It’s lightweight with a synthetic sole to keep you moving smoothly on all surfaces including the concrete of Salsa on the Square. Here’s an example of traditional dance sneaker for men and women. The insole is supported with arch support. The synthetic sole is perfect for all surfaces including concrete. ← Salsa on the Square featured in the Cincinnati Enquirer!